His trip reciprocated Moon's state visit to India last year. 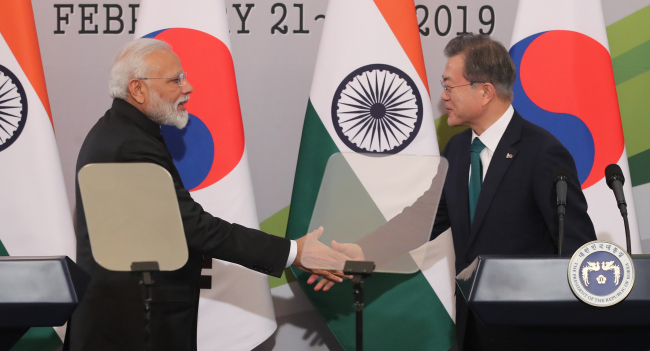 Moon and Modi also agreed to speed up negotiations to enhance the countries' free trade agreement, known as the Comprehensive Economic Partnership Agreement, which took effect in January 2010. Seven rounds of talks have been held to push for further market liberalization.